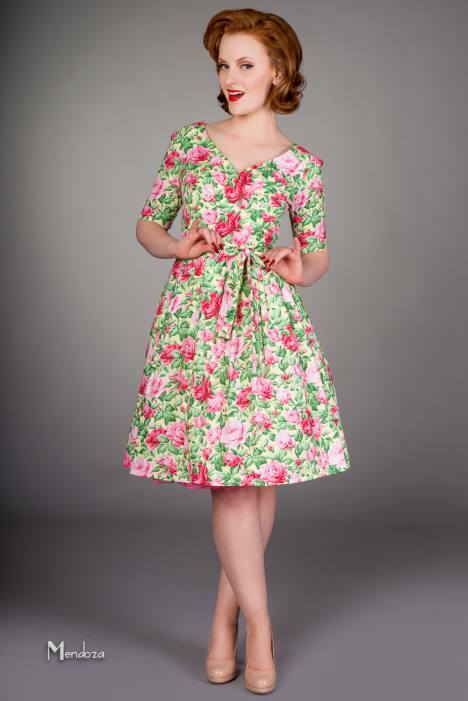 Get Cutie co. is a retro, pin up and vintage inspired boutique that specializes in flirty and fun dresses for women in a wide variety of adorable prints and colors. 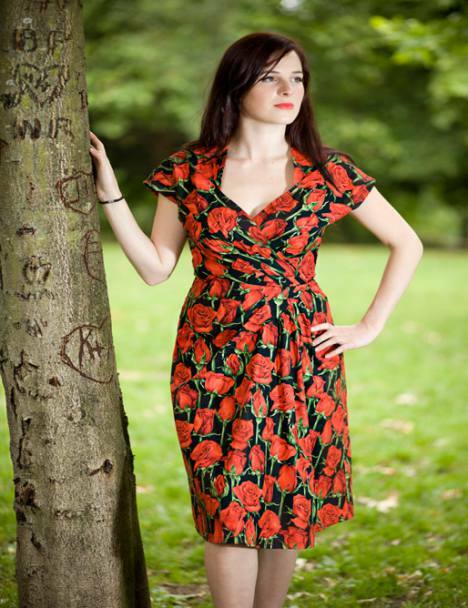 All Images with friendly permission by Get Cutie Co.
Fresh florals, birds and other prints are all available in popular dress styles that range from innocent and wholesome vintage looks to flirty and playful dresses. 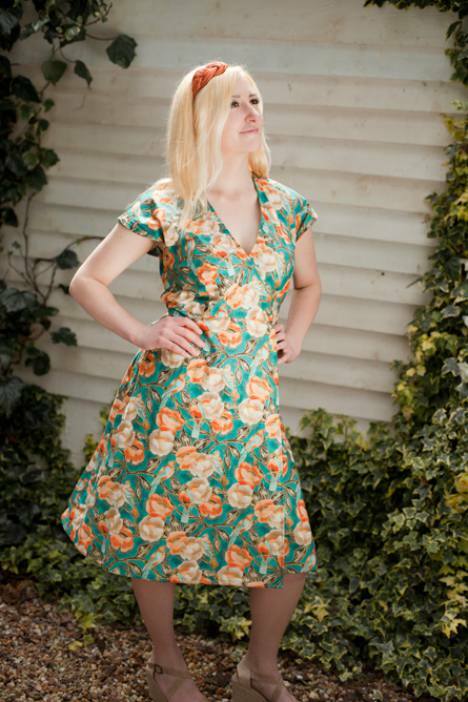 For a skirt that channels the style worn by your mother or grandmother, A-line styles in floral patterns are the perfect accessory to a solid print collared retro top and a pair of Mary Janes or penny loafer shoes. The dress section ranges from short capped sleeves to halters to long sleeves and even sleeveless styles. This section also has all sorts of florals to choose from, with tiny bird accents, pin up girl classic prints and prints of flowers mixed with sugar skull looks. 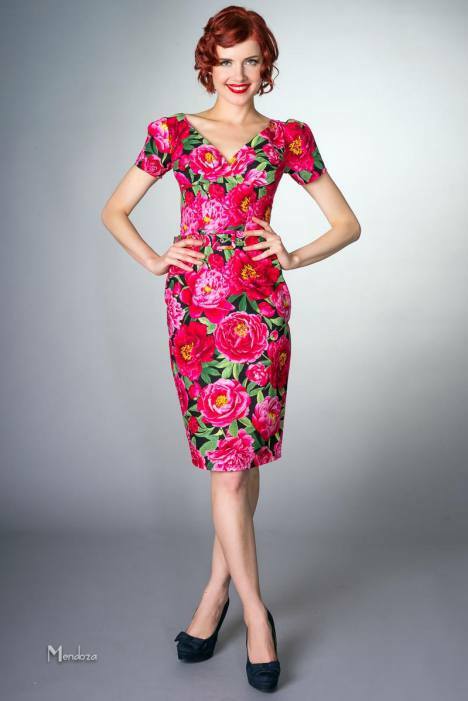 Classic skulls and roses adorn a sleeveless dress, and a short sleeved cap dress covered in colorful photos of Elvis Presley is perfect for those who love 1950s swing music. Men’s short sleeved and long sleeved shirts are available in skull prints and more classic, less dramatic looks so you can find something for your man whether he’s into rock and roll or classic vintage. Looking to dress up the kids? Flowery dresses and button down boy’s shirts can be found here so you can dress up the whole family. Looking for adorable accessories for a subtle vintage accent to your look? Check out the thick waisted belts that come in the same prints as many of the dresses, skirts and tops. If you’re not ready to pull off an entire dress adorned with flowers and birds, pick out a belt to wear with a classic black or solid printed dress. The sugar skull adorned organic cotton bag is perfect for shopping or a day at the market. Ties are even available for your man if he wants a funky accessory to wear with his top. 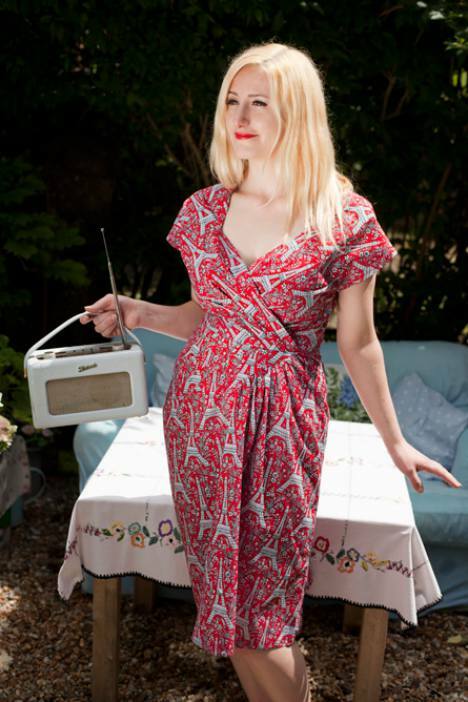 For those who aren’t afraid to wear one of a kind prints with a retro, pin up and vintage edge, Get Cutie has the perfect variety available. Browse through their selection for designs that are ideal for the whole family.